Two more of our Valley brothers can now be called Illustrious. Ill:. Robert Johnson 33° and Ill:. 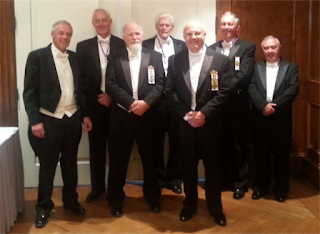 John Andrews 33° were coroneted in Indianapolis on Tuesday September 1st 2015. Many of our other 33rds were in attendance to celebrate with our two very deserving brothers.